In 2017 Lisson Gallery celebrates 50 years of working with artists and making exhibitions, reaching yet another landmark in its already influential history. In addition to the launch of a major archival book, documenting over 150 artists and every one of the gallery’s more than 500 shows, Lisson Gallery will continue the strong artistic programming in its current venues, accompanied by an increased number of activities across Asia. First opened on 4 April 1967 on Bell Street in London by Nicholas Logsdail, the gallery has since grown to encompass four spaces: two in London, one in Milan and a fourth in the Chelsea neighbourhood of New York, which opened under the High Line on 3 May 2016. After showing in Young Contemporaries at the Tate Gallery earlier in 1967, Nicholas Logsdail set up a further showcase for his fellow students from the Slade School of Fine Art over three floors of his Marylebone house. Unexpectedly, he was then expelled from Slade by the school’s strict principal Sir William Coldstream. Urged by his friend Derek Jarman to continue his endeavour, Logsdail presented a solo exhibition of Jarman’s work and invited international experimental artists such as Li Yuan-Chia, Mira Schendel, Lygia Clark and Yoko Ono to show within the first year. By the time of a seminal group show in 1970 – entitled ‘Wall Show’, after an invitation for artists to take one wall each – Logsdail was frequently travelling to New York, bringing back many important American artists for inaugural London shows, including Minimal and Conceptual artists such as Carl Andre, Mel Bochner, Dan Flavin, Dan Graham, Donald Judd, Sol LeWitt, Robert Mangold, Robert Ryman and Fred Sandback. Throughout the 1970s and ’80s Lisson Gallery also introduced successive generations of British artists to audiences both in the UK and internationally, such as Art & Language, Tony Cragg, Richard Deacon, Anish Kapoor, Shirazeh Houshiary, Richard Long and Julian Opie. Two of the artists with the longest ties to Lisson Gallery are Peter Joseph (showing later this year in the New York space) and John Latham (whose survey opens at the Serpentine Gallery in London this March). An expansion of activities to encompass some of the world’s most important living artists, such as Marina Abramović, Ai Weiwei and Carmen Herrera, has continued throughout the 1990s and 2000s, as does an on-going commitment to develop the next wave of global practitioners, which includes Cory Arcangel, Nathalie Djurberg & Hans Berg, Ryan Gander, Haroon Mirza, Wael Shawky and Jorinde Voigt. 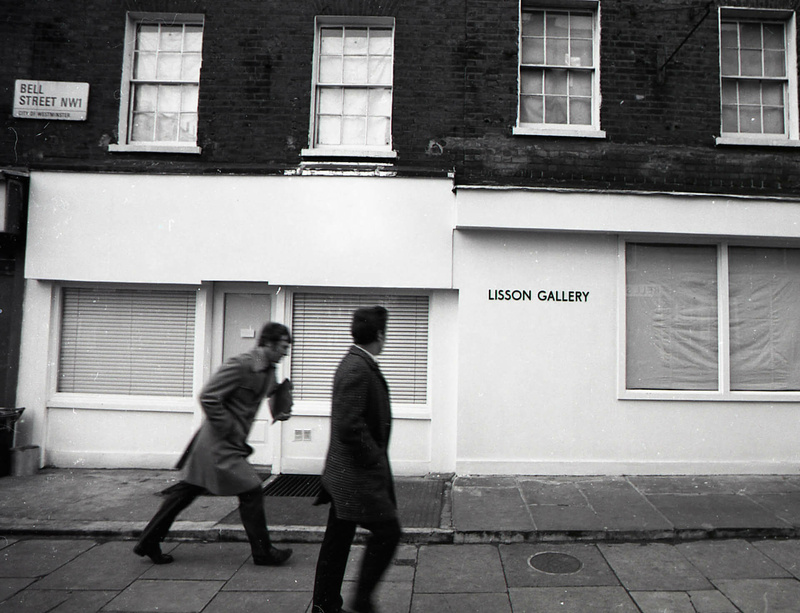 Lisson Gallery’s 50th year will be marked by a major publication to be launched this October in London. Under the art direction of famed Dutch designer Irma Boom, the publication will feature an A-to-Z of all 150 artists who have had solo shows at the gallery. Through the use of ephemera, letters, drawings, photographs and other printed matter, the book will form a parallel document to the gallery’s own rich archive and will run over 1,000 pages. Among other events punctuating 2017, a new strand of on- and off-site exhibitions will be introduced into the programme worldwide. Entitled ‘Lisson Presents...’ after a prior series of group shows initiated in 2009 to promote curatorial innovation, these new, focused presentations will be used to debut work by emerging artists, often alongside historical pieces by established gallery artists. Running in parallel with the main exhibition programme, ‘Lisson Presents…’ operates as a curatorial platform to reaffirm a continuing connection with the gallery’s origins. Further events and projects will take place throughout the year.